The Kirking of the Council - a tradition dating back about 400 years -brought the 2010 Summer Festival to a close on September 12th. The event began at 10 am with a procession of uniformed youth groups, Councillors and guests from the Town House to the Old High Church, Church Street, for the service at 10.30 a.m. 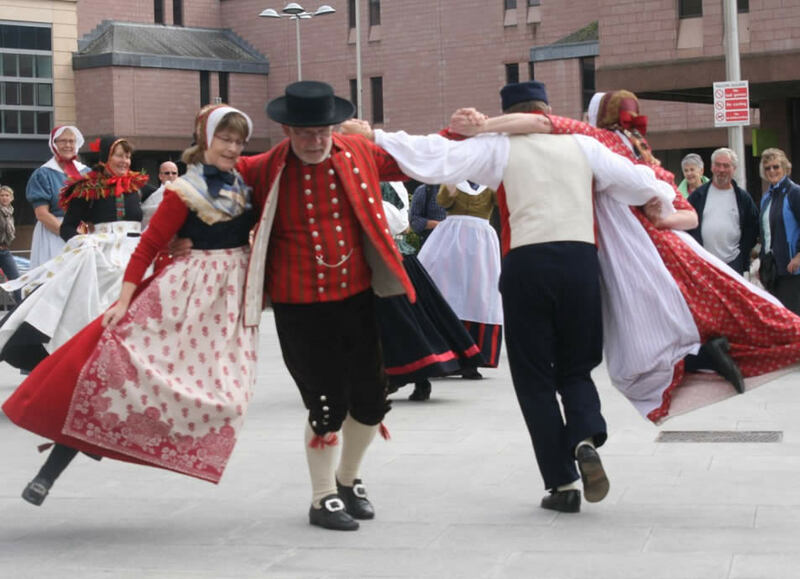 It was estimated there will be 120 people in this year’s procession, which included some colourful dancers from Denmark who brought the event (and the Festival) to an enjoyable close with a display in Falcon Square. The Kirking of the Council is a partnership between the congregation of the Old High St Stephen's Church of Scotland and the Inverness City Committee of The Highland Council that enables the Kirk to bless the work of the elected Members and their officials and for the Council to recognise the contribution of the Christian Community to the City of Inverness. The occasion also gives the Council the chance to recognise the valuable contributions of all faith groups, charitable agencies and voluntary organisations to the City of Inverness. 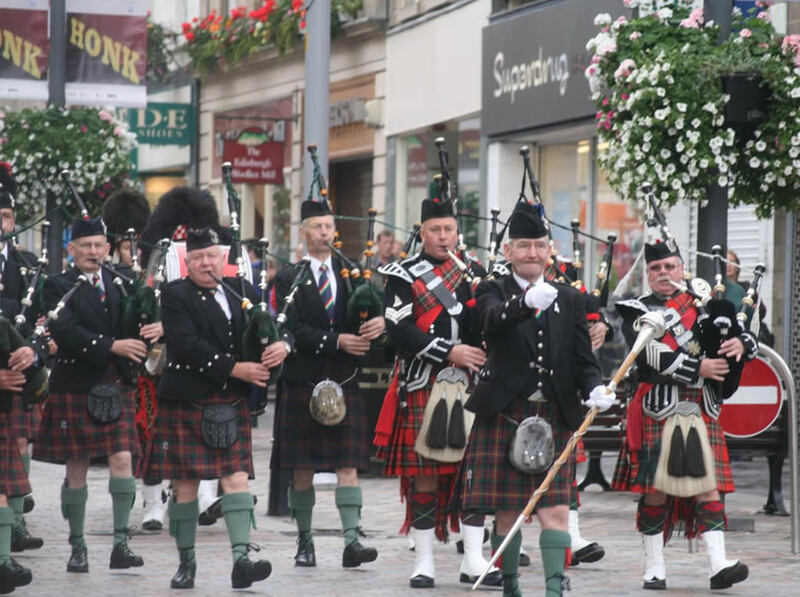 The news that the Inverness Highland Games has been combined with the spectacular Armed Forces Day celebrations promised that our 2010 Gathering would be one of the most spectacular staged in Scotland and so it proved. 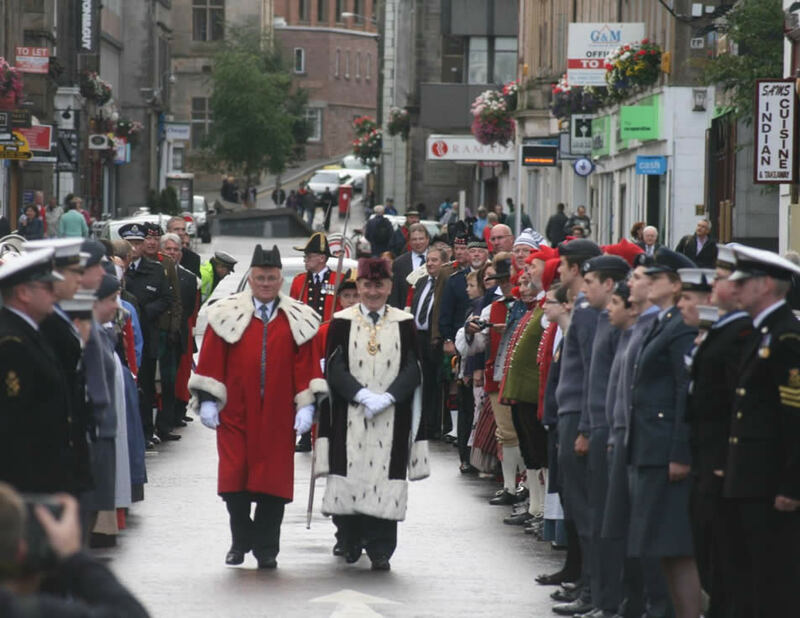 The sight of the particpants taking part in the Armed Forces Day Parade being applauded as they marched through the heart of Inverness was wonderful to behold. The Games opened at 11am when the Highland Dancing, Solo Piping and Junior Athletics got underway together with a special Inverness Stone competition featuring the Mitchell Party from Yorkshire. After our Games Chieftain Provost Jimmy Gray and our Guest of Honour Major General Seymour Monro CBE LOV welcomed the massed pipe bands and hundreds of veterans and their families to the Gathering, the crowd settled back to enjoy the show.